Not much is known of these quiet peaceful guardians of the terran doorway. Vaguely humanoid, with no legs, or even facial features, beyond some odd very reflective eyes. Seemingly a lot of time spent in caves and underground. 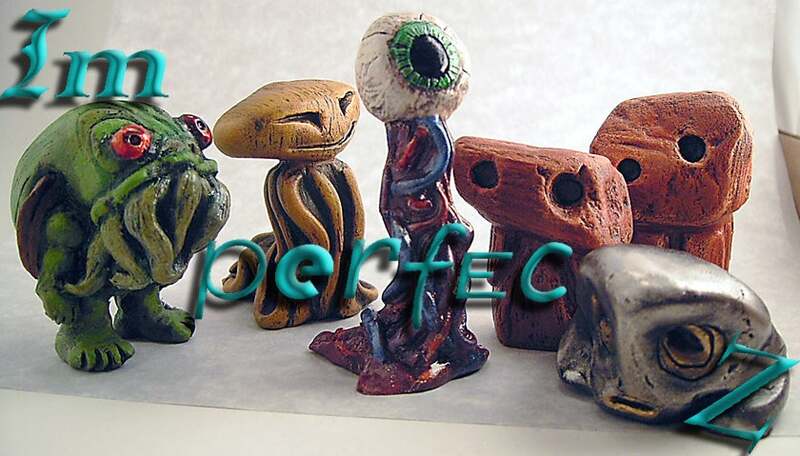 These resin cast pieces are available fully finished (cast in color, antiqued and painted eyes) or as blanks (white to off-white) Larger 3 average in height about 2 1/4" and the smaller (set of 2) are roughly 1 1/2" and 1 3/4".